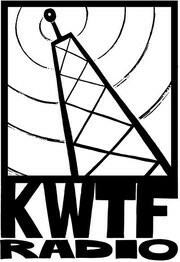 Considering that the FCC has approved such call letters as KCUF (read it backwards) and KUNT, the soon-to-be-aired FM radio station KWTF seems soft in comparison. Not that it’ll be broadcasting Celine Dion—rather, the upstart station, license in hand, is “dedicated to advancing local and global news, arts and culture and promoting social change by helping to inform, entertain, involve, educate and connect Northern California’s diverse multilingual communities.” Funds are raised when Comanche Hi Power, the New Trust and Brian Fitzpatrick play on Saturday, May 14, at the Arlene Francis Center. 99 Sixth St., Santa Rosa. 5pm. $20 donation. 707.528.3009.